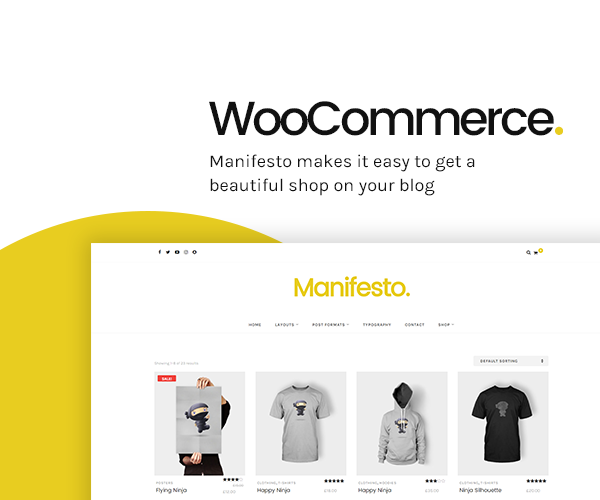 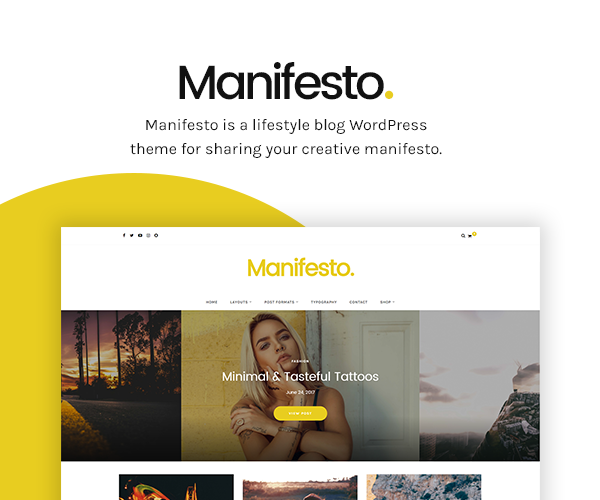 Manifesto is a lifestyle blog WordPress theme for sharing your creative manifesto. 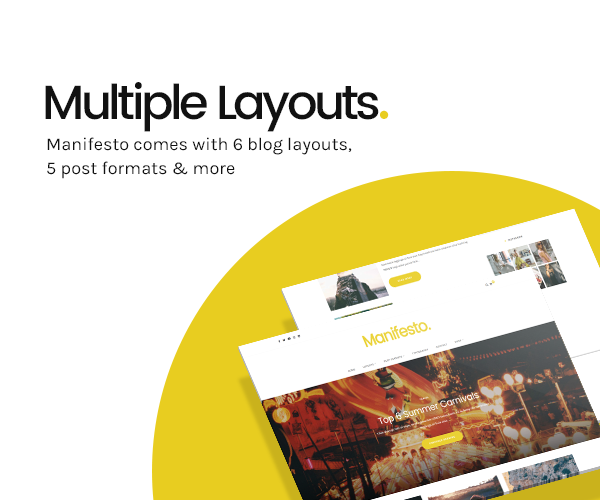 The theme is lightweight and an ideal choice for blog, shop, portfolio and personal purposes. 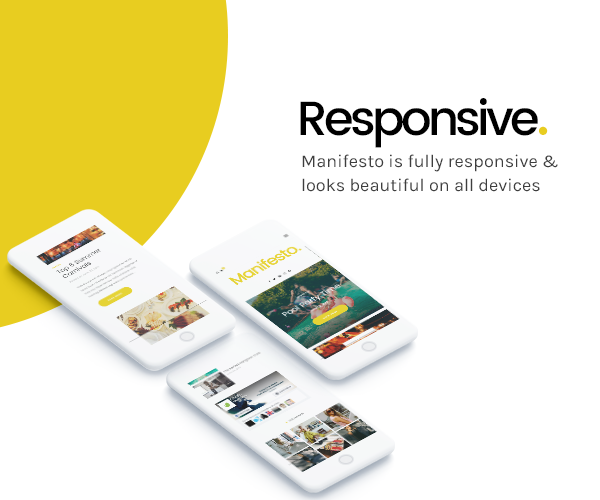 Manifesto’s design, features and functionality are crafted to attract user attention. 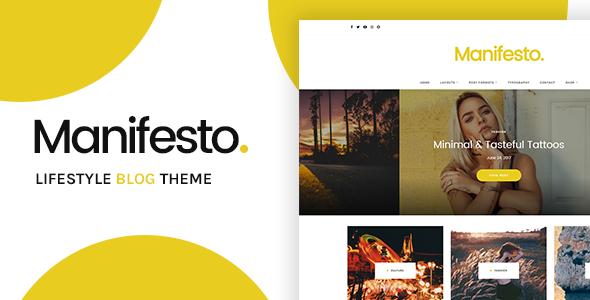 You website will be looking modern and beautiful in no time! 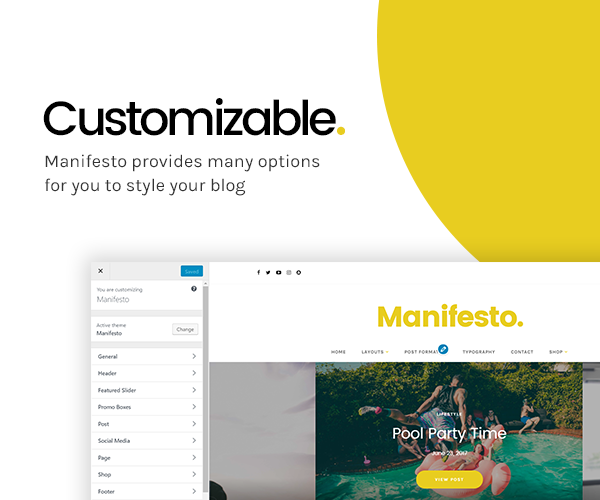 Sell products, share your stories, connect with social networks, allow the public to comment and grow your popularity with Manifesto!